As anticipation quickly builds for the most wonderful time of the year, you’ll quickly notice that Madrid is getting dressed up to the nines. 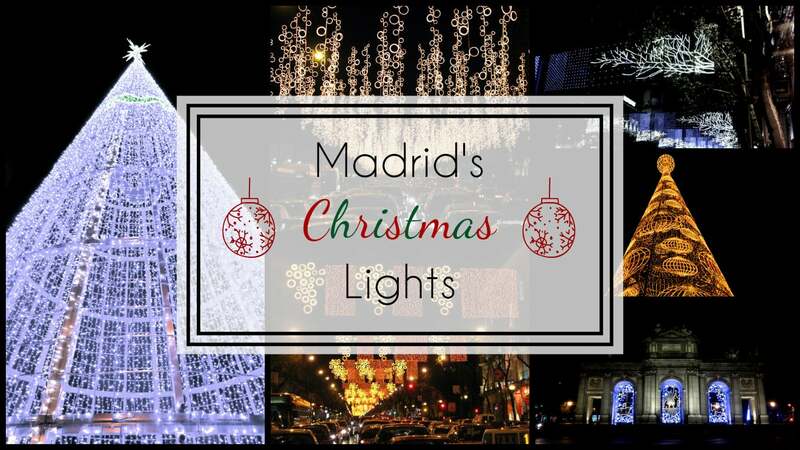 Almost every street, plaza and avenue has some kind of light spectacle installed and they will all light up, turning Madrid into a true winter wonderland, on Friday, November 23rd! Each neighbourhood/street has lights of different design and colours to project a kind of individual identity and variety. From tree branches and raindrops stretching across massive avenues to small delicate shapes hanging over those small cobbled streets, the magic is everywhere! But it doesn’t stop there! Many of the major plazas in the city centre – Sol, Callao, Plaza de España, Montera – will have breathtaking Christmas trees, some of which you can even enter. The lights were designed and constructed by a team of architects and fashion designers with a goal to create an energy efficient, environmentally conscious, magical atmosphere for the people of Madrid. The lighting ceremony will be held in Puerta del Sol, at 17:45 on Friday, November 23rd! The lights go on from 18:00 – 22:00 during the week, 18:00 – 23:00 on weekends and 18:00 – 03:00 on Christmas eve! The last light show will be on January 6th! If walking across the entire city to see the lights seems a bit daunting in the cold weather, you can now catch the Naviluz! The Naviluz is a blue, double decker Christmas bus that allows you to see the lights in the most comfortable fashion. The bus departs from Plaza de Colon, and takes passengers on a 40-50 minute tour through the center of Madrid. Tickets are sold solely online on the EMT Naviluz website, https://naviluz.emtmadrid.es/en/. Make sure to buy your tickets early, as they sell out very quickly!